Many people still pay an annual fee for a credit cards associated to their bank account in Spain, but why pay 30€ or more per year if you can get one free that also comes with perks? Many banks offer free credit cards if you have a current account, such as ING Direct. But if your bank charges for a credit card, doesn’t offer any bonuses and you don’t want to change bank, why not apply for one of the cards listed below? WizInk offers a free Visa card with discounts at lots of different stores (clothing, restaurants, travel agencies and more). The card is issued with a default setting to repay by installments, as soon as it arrives amend this to repay in full at the end of the month to avoid interest. Note: In 2016 WizInk purchased Barclaycard’s business in Spain. Carrefour Visa Pass. Cashback of 1% on purchases when you spend 300€ a quarter (excluding supermarkets and petrol stations) returned with your quarterly Carrefour cheque, as well as 8% cashback at Carrefour petrol stations or 4% cashback at Cepsa petrol stations. You can request an additional card at no cost. MediaMarkt Club Card Visa. Comes with exclusive promos for card holders. Watch out with the option to pay at the end of the month in full as you will be offered automatic finance in 3, 6, 10 or 12 months with interest. Ikea Visa. Exclusive promos for card holders and automatic financing of Ikea purchases up to 72 months if required. Online account information. Additional cards also free (for family members over 18 years old). Eroski Visa Red. Get introductory offers with your new credit card, exclusive promos and cash at Eroski tills (instead of using an ATM). One that comes with a catch is the Fnac Visa card. There’s no fee but you have to be a member of Club Fnac which does come with an annual fee. With the Fnac credit card you’ll get 0.5% cashback on your Club Fnac card on all purchases and for purchases at Fnac you’ll get 5%. You can request the Fnac Visa in store only. The card is issued with the default payment setting by monthly installments – minimum 2.5% of the outstanding balance (or 18€). Avoid interest by altering the default setting as soon as you receive the card. Part of Evo Banco, Evo Finance offers a free Visa card with a limit of up to 5000€. You don’t need to have an account with Evo and you can decide each month how to pay off your balance. Online you can check your transactions and change payment method five days before the billing date. Additionally card holders can request a transfer to a current account of up to 80% of the card limit. Remember to watch out for the interest that will be applied. On Evo’s website it says that you can also exchange points. However it’s not clear how you get points and what they can be exchanged for. What About the Interest Rates on Credit Cards in Spain? We haven’t included any details about the hefty interest rates charged on credit cards. It’s always best to choose the default repayment option of “in full at the end of the month” to avoid interest payments. If you do need to spread the payment over a longer period, interest charged will cancel the benefit of having a free card. 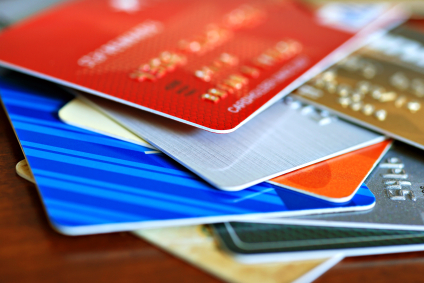 It may be more beneficial to pay an annual fee for a credit card with a lower interest rate.